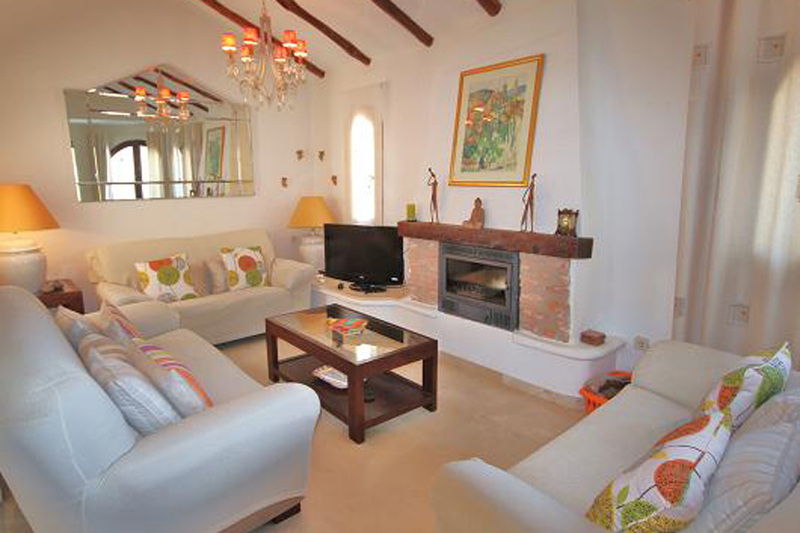 Detached four bedroom villa in popular Spanish style community. Private terraces, barbeque and use of nine community pools. Free wifi. 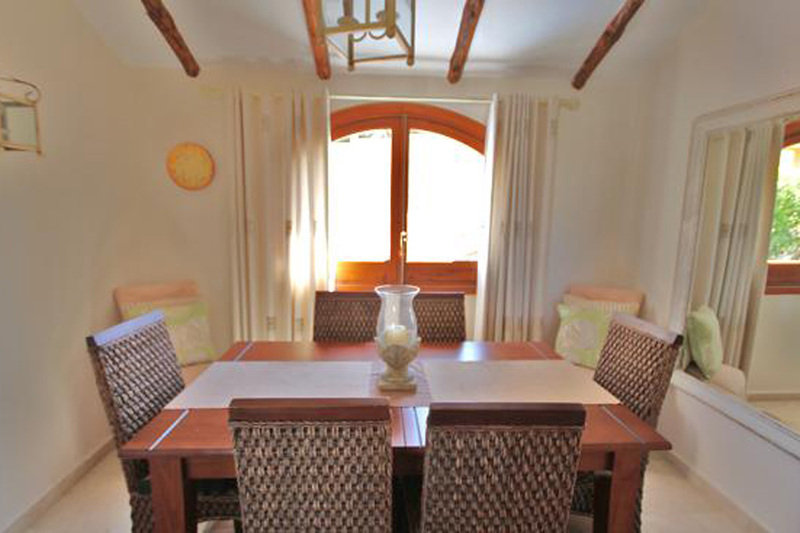 El Rancho is a popular community of traditional Spanish style villas varying in size from one to four bedrooms. 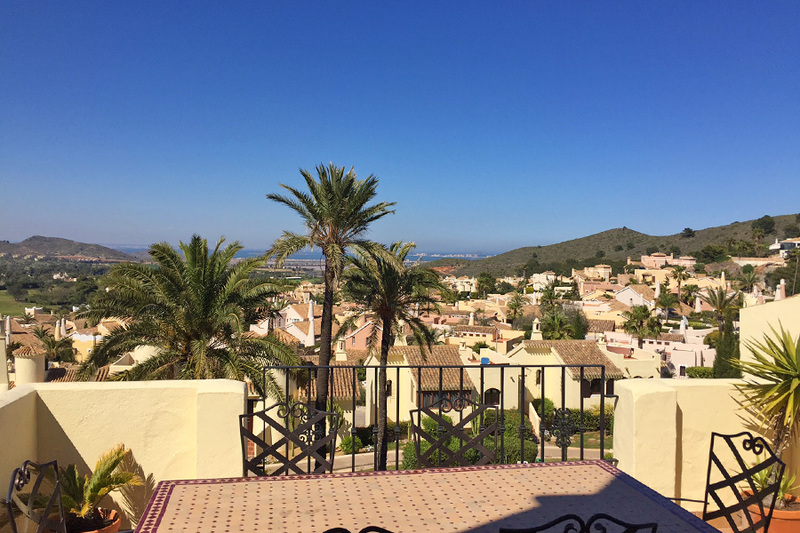 Most of them have terraces with built in barbecues and many have views across the Resort to the Mar Menor and the hills surrounding. There are a total of nine community swimming pools each with its own children’s pool, an ideal location for families. 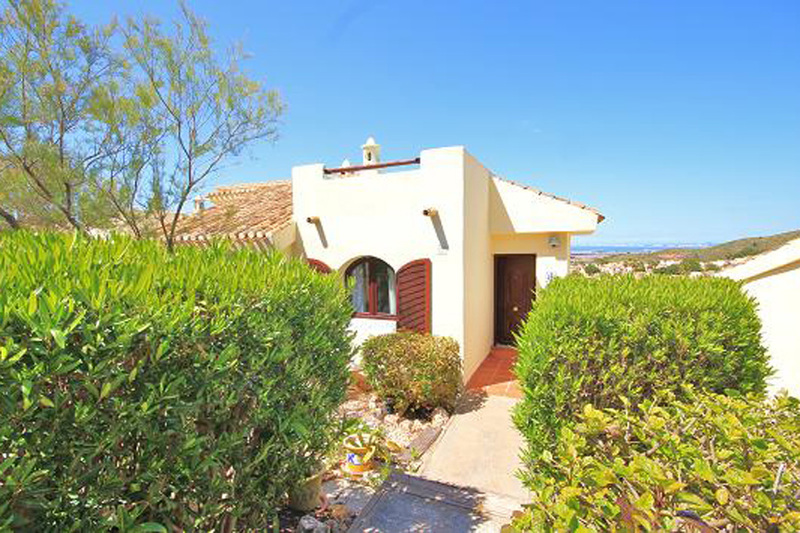 This comfortable detached four bedroom, three bathroom villa is conveniently situated close to one of the community pools and has lovely views across the Resort. 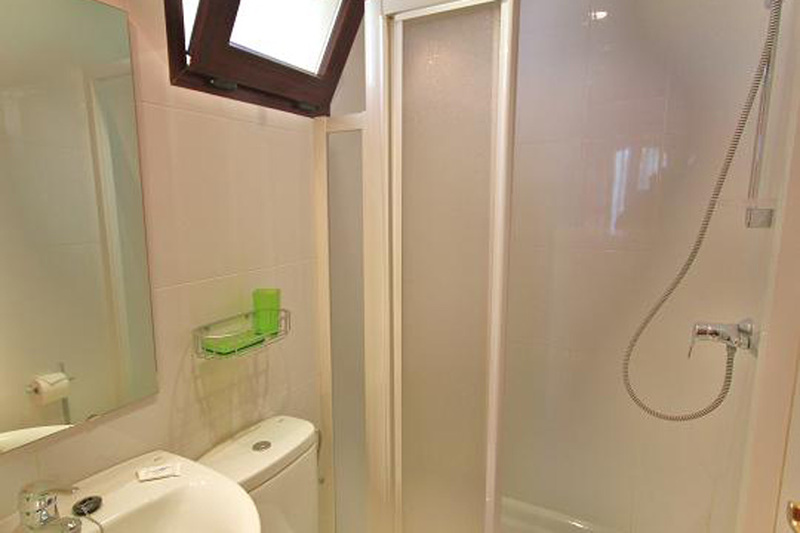 It is well equipped and furnished. There is free wifi internet access. Entrance into the open plan lounge/dining room which has satellite TV including many UK stations and patio doors leading to a terrace. 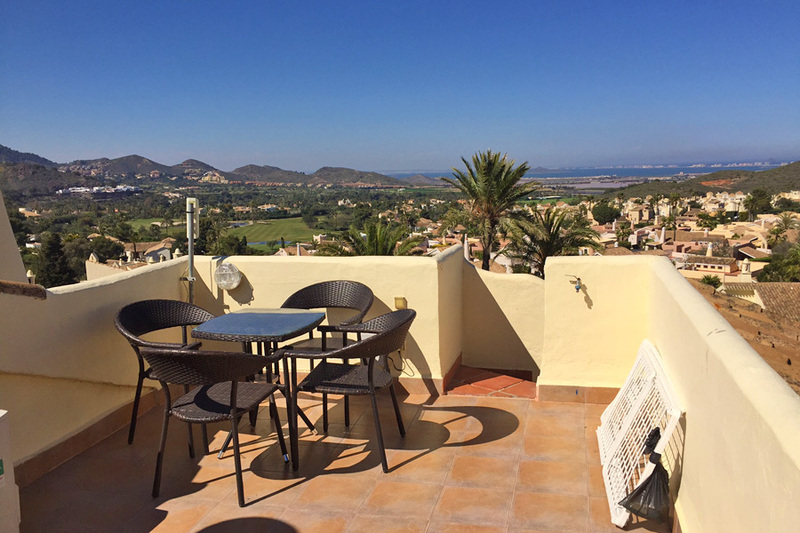 This terrace has outdoor dining facilities, barbecue and there are great views across the Resort and beyond to the Mar Menor sea. 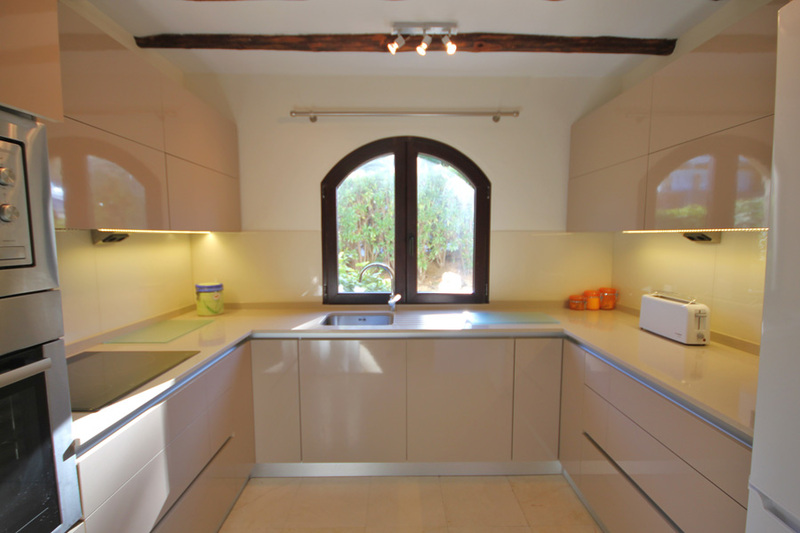 The separate recently refurbished kitchen is well equipped with dishwasher, microwave, oven, hob, extractor fan and fridge freezer. From the lounge there is a staircase down to the bedrooms. 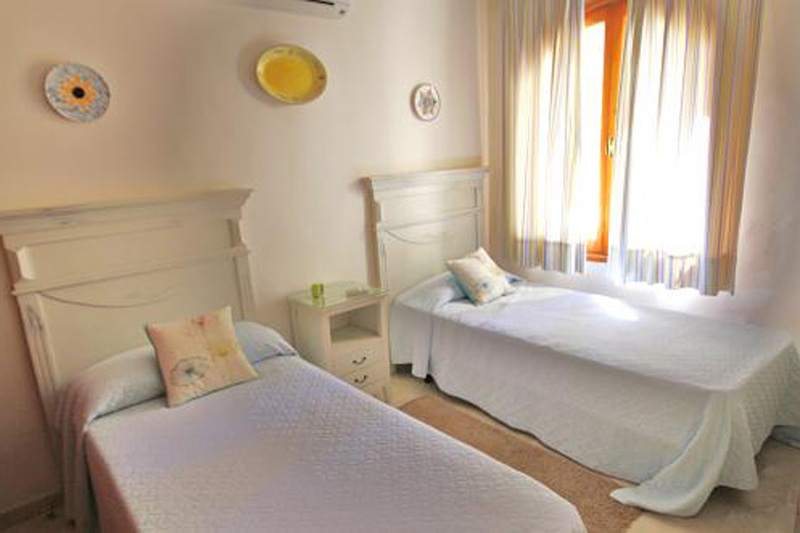 The master bedroom has a king size double bed, ceiling fan, an en-suite shower room with twin sinks and a walk-in shower. Patio doors from this bedroom to a small balcony and a door leading to the community gardens and nearby swimming pool (via steps). 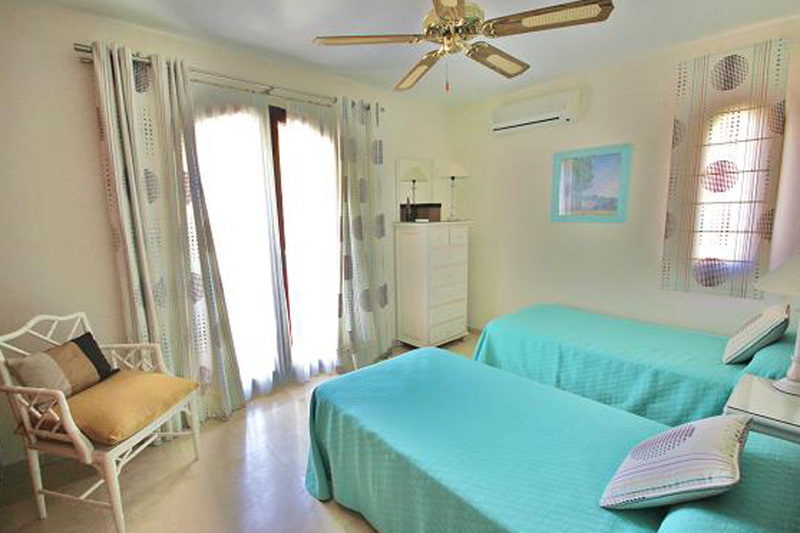 The second bedroom has twin beds which can be made into a double if preferred and patio doors also leading to the community gardens and nearby swimming pool (via steps). The third bedroom has twin beds and a window to the side. 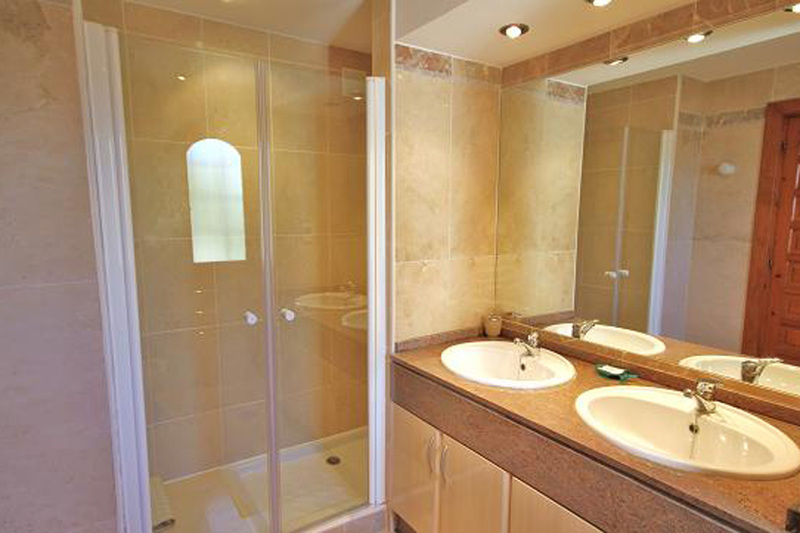 The second and third bedrooms share the use of a family bathroom which has a bath with shower over. 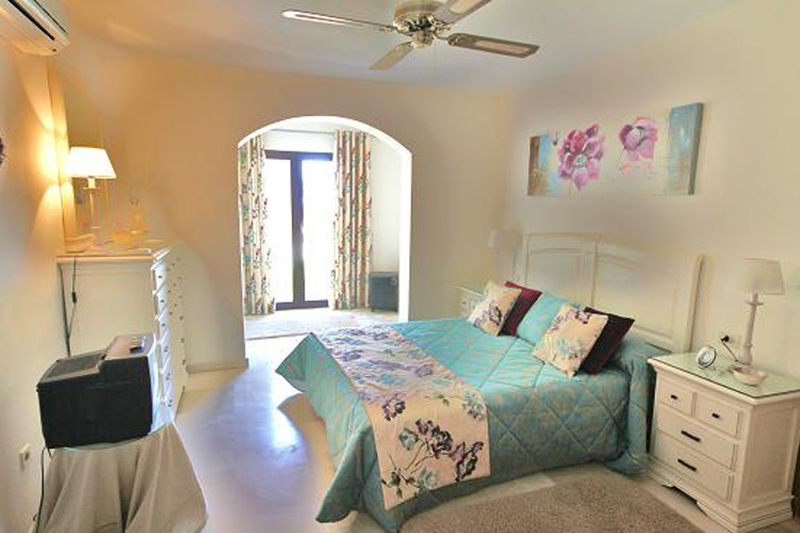 The fourth bedroom has a double bed bed, a window to the rear (looking towards gardens and pool) and an en-suite shower room. An external staircase leads to the private roof terrace with views across the community and beyond. 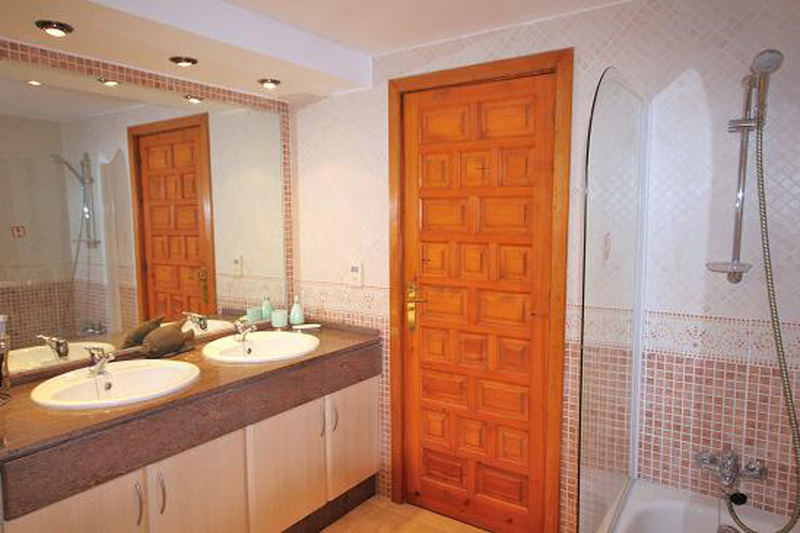 The villa has a washing machine and is situated very near to one of the nine community pools. Parking is easy and near to the entrance door. 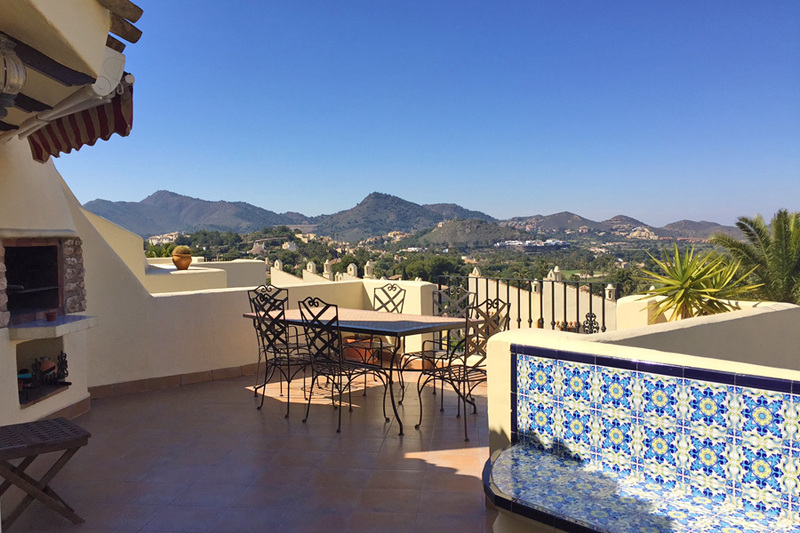 Detached villa in La Manga Club Resort, air conditioning throughout is included in the price. Private terraces including roof terrace and barbecue facilities. The community has nine outdoor community pools set in pretty gardens. 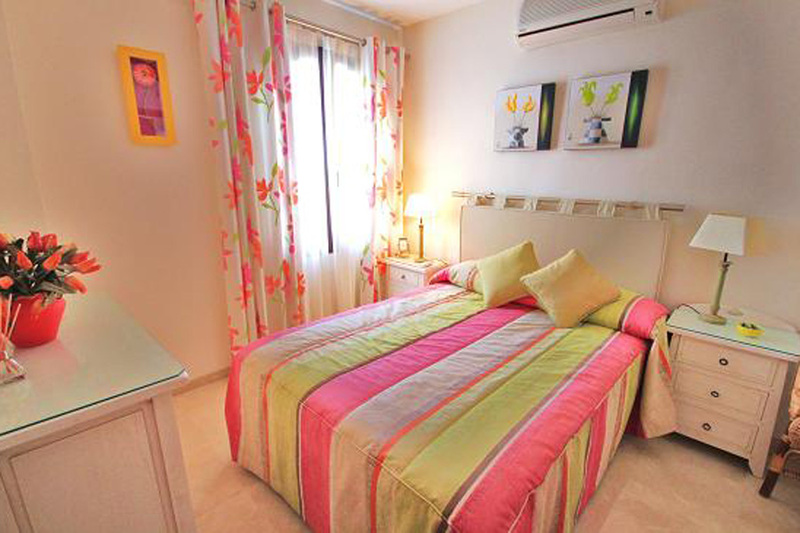 Within walking distance of shops and restaurants at Bellaluz Plaza. MINIMUM RATE 4 NIGHTS – FOR BOOKINGS OF 4 TO 6 NIGHTS A NIGHTLY RATE APPLIES: LOW SEASON £175.00 PER NIGHT / MID SEASON £205.00 PER NIGHT / HIGH SEASON £250.00 PER NIGHT (IF AVAILABLE). Saturday to Saturday rentals preferred in July and August, although other stays are considered, please enquire.